Yesterday the boy and I spent the day together for our forth anniversary. Went to Jungle Jim’s for some lunch and then seen MIB III 3D (Which was very good fyi). I didn’t plan to buy much but everything I got was on sale. I’m a sucker for a sale. 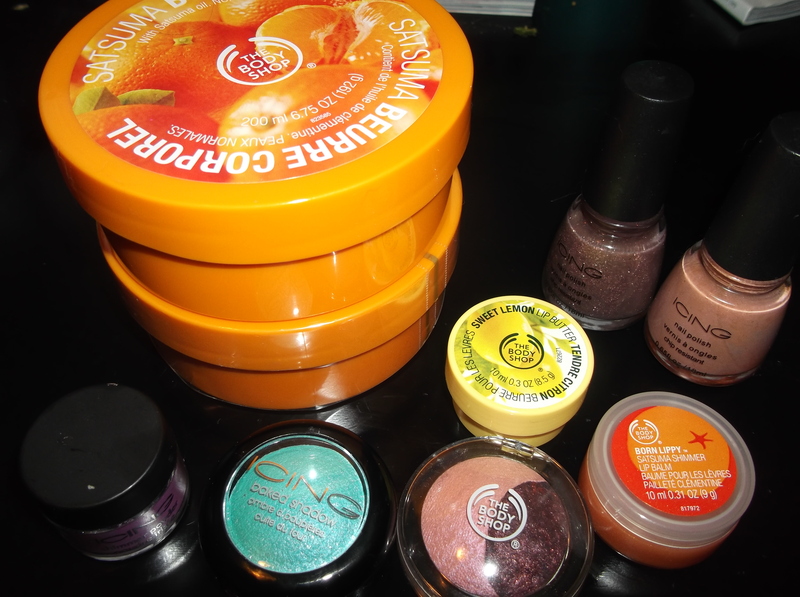 I had to go to The Body Shop. Adore that place and when I went in I only planned to get one Satsuma Body Butter. WELL! Body butters that are normally $20 dollars were $10. Then the lovely sales girl asked me if I’d like to spin the wheel they had with different promo sales. I got ‘Get $20 dollars off a $40 purchase’. I was very pleased. I won’t lie I was excited inside. I planed on getting one butter and left with two butters, a lip butter, a lip balm and a baked eye shadow. I got the lemon lip butter, which smells like lemon cake. omg! 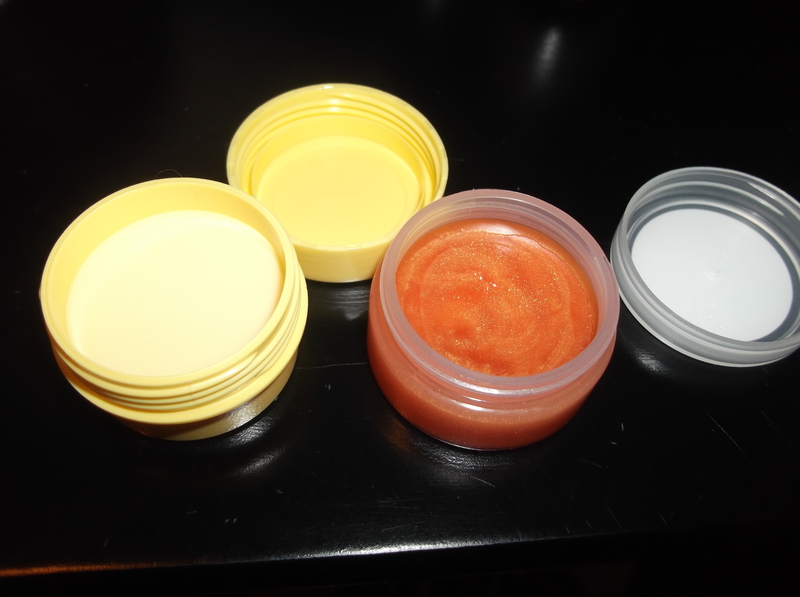 (smell all day long) and the lip balm is a shimmer satsuma scented/flavored balm. I will say now if you are a fan of citrus scents and you haven’t smelled the lip balm or body butter in ‘Satsuma’. I don’t know what to say to you. Put it on your bucket list. Sooner then later. I also got several things from ‘ICING’. 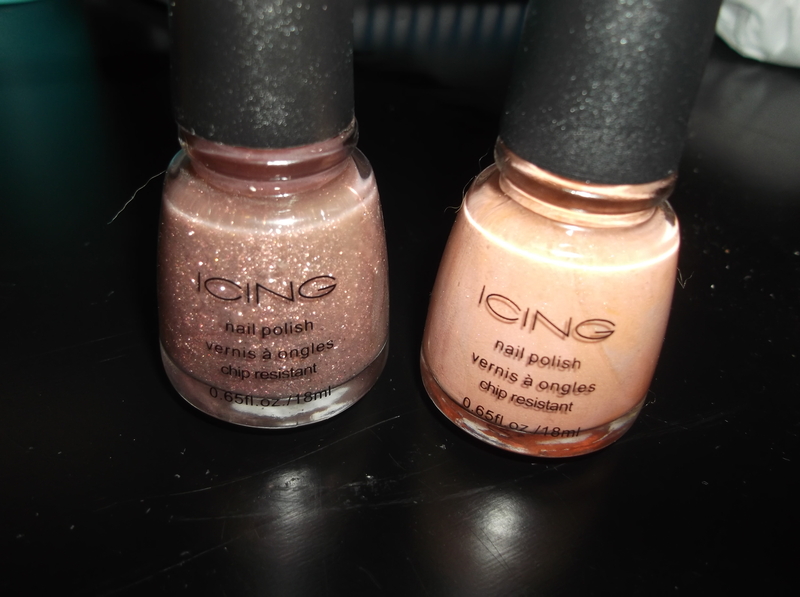 I actually really enjoy shopping at ‘ICING’, for there polishes and bags specifically. Again, lots of things at sale here. 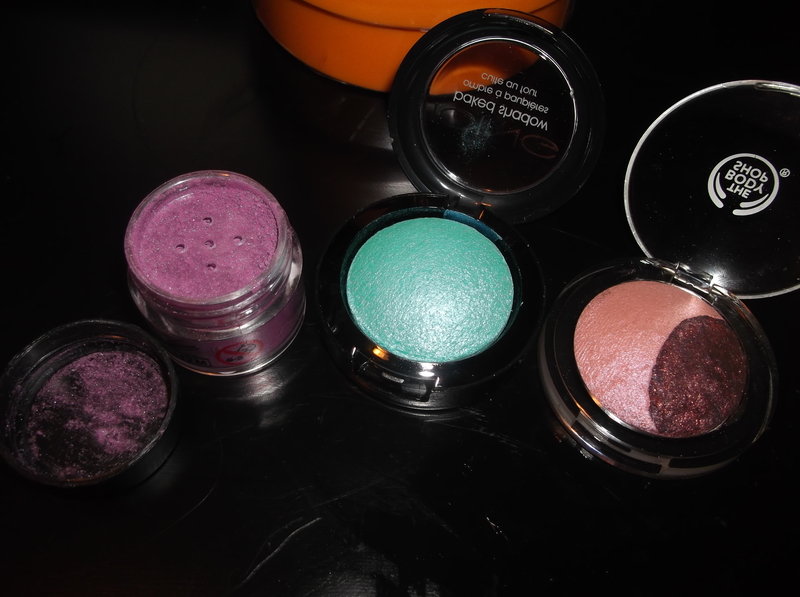 The purple shimmer powder was .$4 and I got it for $2. The blue/green (text me later) was $6.25 and I got it for $3. The Body Shop baked shadow is called ‘quartz’. 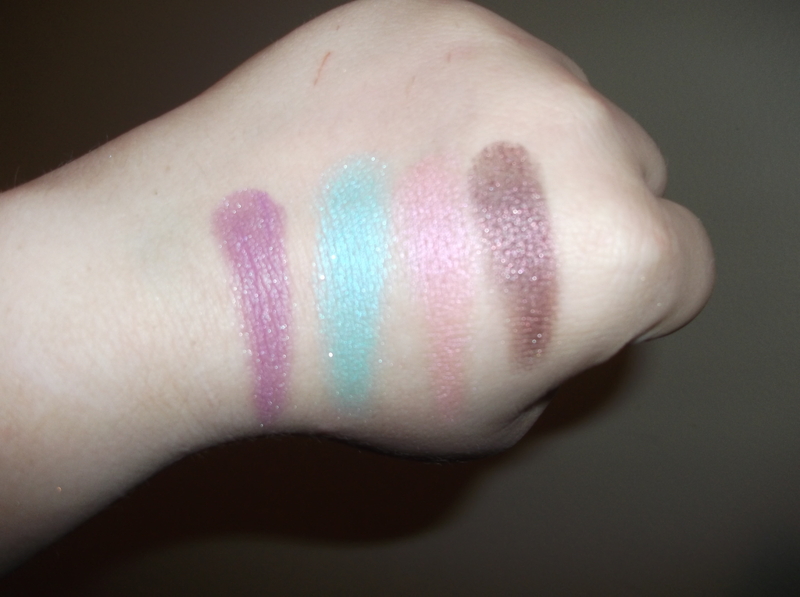 I sadly could not get a good picture of these swatches. It was very annoying. All these shadows had shimmer. The last brown is darker in person with pink shimmer. I believe these polishes were $4.50 and I got them for $2.25. They are ‘At Dusk’ and ‘Milk Chocolate’ (no swatch pic sadly) I didn’t have any colors like these so I didn’t feel bad getting more polish. This bag was also half off. I got it because it felt so summery to me. 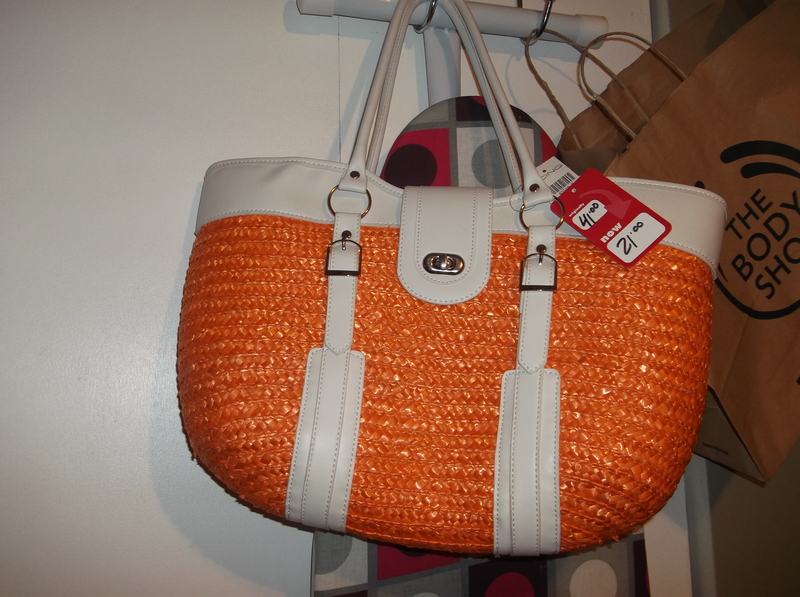 There was a pink one as well but the bf told me to go with the orange. His so patient.